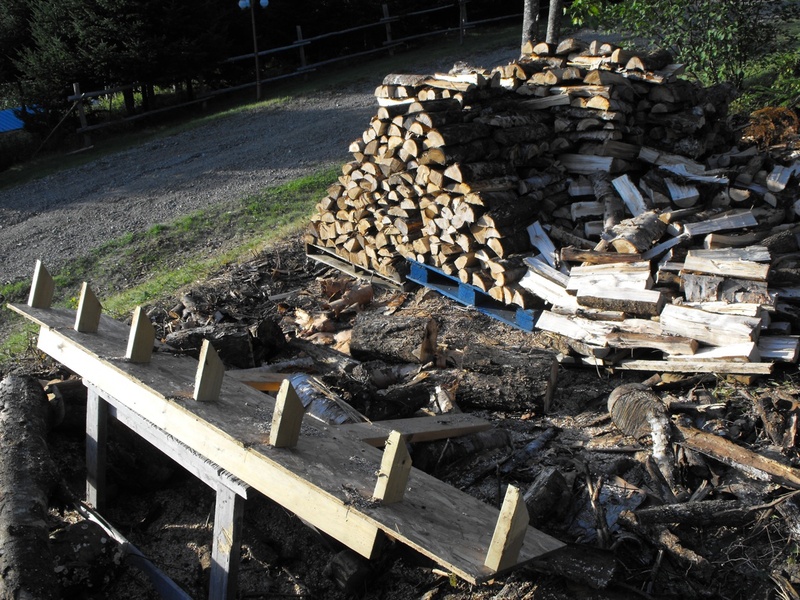 Bending over to buck up 16 inch lengths of firewood can get sore on the back. So I jimmy-rigged up this contraption along with my trusty sawhorse. Now I can lift the small 8ft lengths up to a comfortable height and simply cut at each 2×4 sticking up. No more bending over for the small stuff. Anything under 8-9 inches I can lift up and place on this jig. It has the added feature of allowing the cut pieces to roll forward, away from where I am working.